Our optometrist, Dr. Potochick, takes the time to explain the results of your eye exam, describe your options and listen to your eye care needs. Because maintaining good eye health is an ongoing partnership, we encourage you to ask questions and share your health information, which could be vital to monitoring, diagnosing and treating potential vision problems. Dr. Anthony J. Potochick has specialized in comprehensive, individualized family eye care since 1995. A Riverside resident, Dr. Potochick attended Orange Park High School, received a bachelor’s degree in zoology from the University of Florida and earned his doctor of optometry degree at the Nova Southeastern School of Optometry in Miami, where he completed rotations in ocular disease, specialty contact lenses and pediatric eye care. 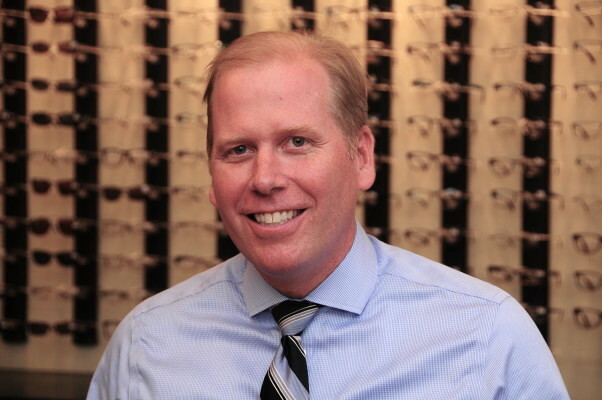 Today, Dr. Potochick is a member of the American Optometric Association, the Northeast Florida Optometric Association and Rotarian active in the San Marco club. When he’s not helping patients with their eye care needs, Dr. Potochick enjoys surfing, sailing on the St. Johns River and playing guitar with local bands.